On 26th June 1868, while the near-legendary Dr W.G. 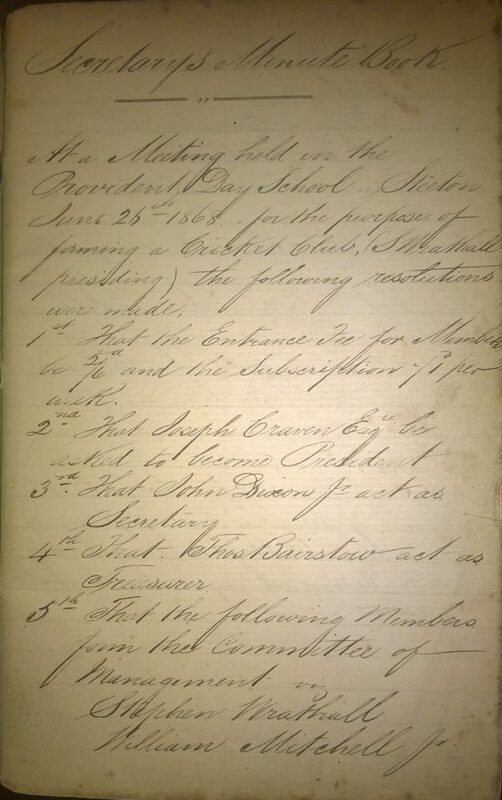 Grace was in his pomp, and just four years after the introduction of over-arm bowling, Steeton Cricket Club was founded at a meeting at the village Provident Day School. The national events of the time included the discovery that Dr Livingstone still was alive in Ujiji, Africa, the American Civil War had recently finished, and Gladstone replacing Disraeli as British prime minister. The canal and railways had both been built, and, although motor cars were yet to be made (by Benz in 1885), the local road network was well established, but used by horse & cart. 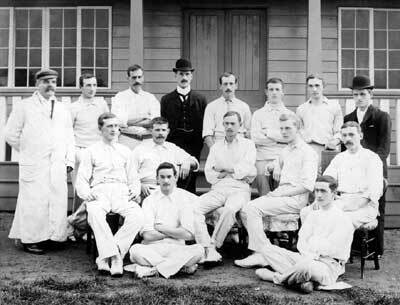 After procuring a field at the Shroggs from Mr S. Wilkins for £6 per year Steeton played 3 matches in 1868 – the first match being played on 1st August – and won all 3 matches. The Club had played at three grounds before the outbreak of the Second World War; the first of the grounds being the Shroggs Field (where the Shroggs house was later to stand, before being demolished in 1994); in 1877 it moved to a ground on the Harewood estate (nearer to Eastburn); and the second move in 1895 being to the Elm Field ground (below Pott Lane) which was used until 1943. The Club built a pavilion in 1904 at a cost of £180, and bought the Elm Field ground for £330 in 1925. The location of the Elm Field ground was where the present Currer Rise estate is now. From 1921 until the outbreak of the WWII, Steeton C.C. 1st XI played with success in the Wharfedale Section of the Yorkshire Cricket Council. The early years of the 1930s was a glorious time for Steeton CC with the 1st XI being champions of the Wharfedale Section of the Yorkshire Cricket Council in both 1931 and 1932, and being runners-up in 1933. In 1933 Steeton also formed a short-lived Ladies cricket team! The Second World War adversely interrupted cricket at Steeton as the Club was forced to vacate the ground in 1943 to make way for an extension to the Munitions factory testing station, and the pavilion at the Elm Field ground was gutted by fire in 1946. So the immediate post-war years saw Steeton without a cricket ground (playing away games only), until the purchase of the present ground on Summerhill Lane from the Dixon family in 1948. The first matches played were in 1950 following the official opening by former Yorkshire captain Brian Sellers and ex-Yorkshire and England player Maurice Leyland. 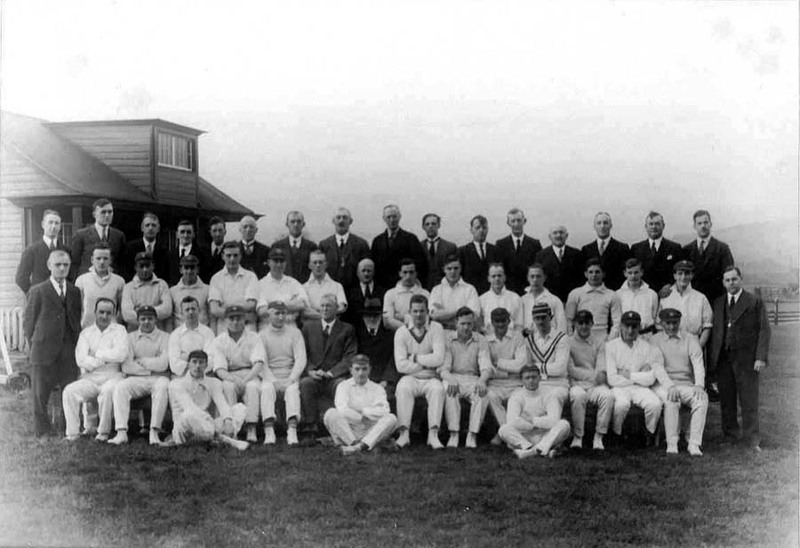 From 1950 the 1st XI played in the Yorkshire Cricket Council (Bradford Section), and the 2nd XI competed in the Craven League, until the Club was elected to the Airedale-Wharfedale League in November 1953 – the first season being 1954. 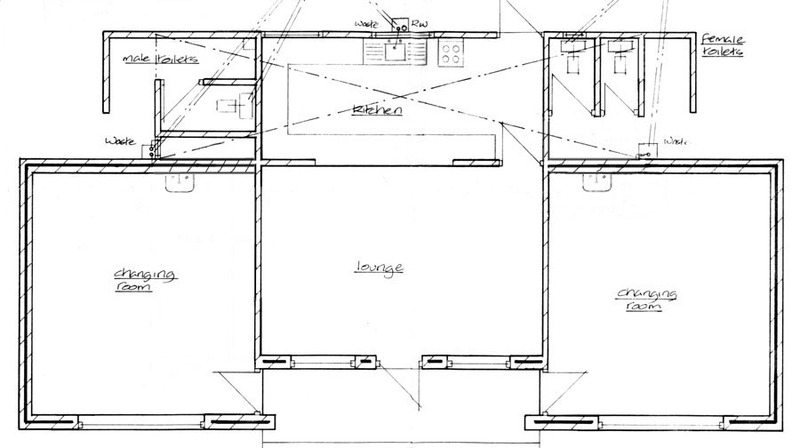 The original plan of the pavilion of the pavilion at Summerhill Lane was quite simple, with the home team dressing room on the right, the away team on the left, and tea-room and kitchen in the middle. The toilets (both male & female) were very basic & were behind the pavilion and could not be accessed from inside – both had external entrances. The scorebox was above the main door, with the numbers hung out from the small window. The scorebox was accessed via a ladder in the home team changing room. The first alterations to the original pavilion was the addition of a small bar in the June of 1976; which was subsequently greatly improved in 1993, with a interest-free loan from the Mitchell Inns bar suppliers. The decision to install the bar was taken at a General Committee Meeting, and Paddy Reape, wielding a sledgehammer, made the initial breakthrough of the internal wall immediately after the meeting. The bar drastically reduced the size of the away team changing room. At the same time the ladies toilets were changed so they were only accessed from inside the pavilion, and this change impinged slightly on the size of the home team changing room. The gents toilet did not alter & men still had to go round to the rear of the pavilion and urinate against a wall! The scorers at this stage got their own scorebox at the other side of the field, and no longer had to climb ladders! In 1985 an extension to the side of the pavilion became the home team’s changing rooms, and the space where the old changing room had been, was used to increase the available floor space within the Club house, when the inner wall was removed. This further increased the disparity in the sizes of home and away changing rooms. The gents toilets at this stage were moved so they too were accessed from within the pavilion, and the space where the old outside toilets was became the bar cellar. When the bar was improved in 1993 the floor space of the Club house was further increased by incorporating the away team’s dressing room – the away team then moved to the home team”s dressing room and a new home team dressing room (along with a separate umpires’ room & shower area) was added alongside it. In 2004 the pavilion had a further extension to the front, when the space that was set in from the front wall was altered so that it came out. In 2012-13 the pavilion underwent its biggest alteration since it was built. The home & away & umpire’s changing room were all enlarged, with the addition of a girl’s changing room. The roof was completely replaced so that it now covers the entire pavilion and no longer a hotch-potch of different eras & styles. The pavilion was officially opened by MP Kris Hopkins on 28th April 2013 and was renamed in honour of the Club”s president Tom Barritt. Sadly Tom died shortly before the dedication. The Club first bought a motorised roller in 1991, previously the large roller was made of stone cut from the quarry at Eastburn and which needed to be pushed by the whole team. The stone from the roller is still in the cricket field near the compost heap! A concrete practice strip on the football field side of the square was laid in 1977, and lasted twenty years, with occasional changes of matting. It was removed in 1997 when a newer practice area, largely financed by a grant from the Millennium committee, was planned. This new practice area was completed in 1998 and consists of two lanes with a fixed frame netting. The 1987 season saw the Club’s first overseas player, Australian Keith Gillespie, and from the 1991 season until the 2015 season Steeton always had an overseas player playing for the Club. Most overseas players have been from Australia, although some were South African. Since 1998 Steeton Cricket Club has gone from strength to strength, with appearances in the Waddilove Cup final in 1998 & 2007, being bettered in 1999, when the 1st XI did “The Double”: ‘A’ Division League Champions and Waddilove Cup winners. Steeton 1st XI were also runners-up in the League in 2000, 2005 & 2006. The 2nd XI were division ‘B’ Champions in 1999 & 2004, as well as being runners-up in 2002, and had a hat-trick of League Championships in 2005, 2006 & 2007, before winning again in 2010. Our 2nd XI have appeared in the Birtwhistle Cup final in 1996, 2004, 2006, 2009, 2012, before finally winning in 2015. In 2003 Steeton fielded a 3rd XI for the first time, and they have reached the Chappell Cup final in 2004, 2006 & 2015, and were runners-up in the League Championship in 2005. In 2012 they went one better and became 3rd XI champions…a feat they replicated in 2016. 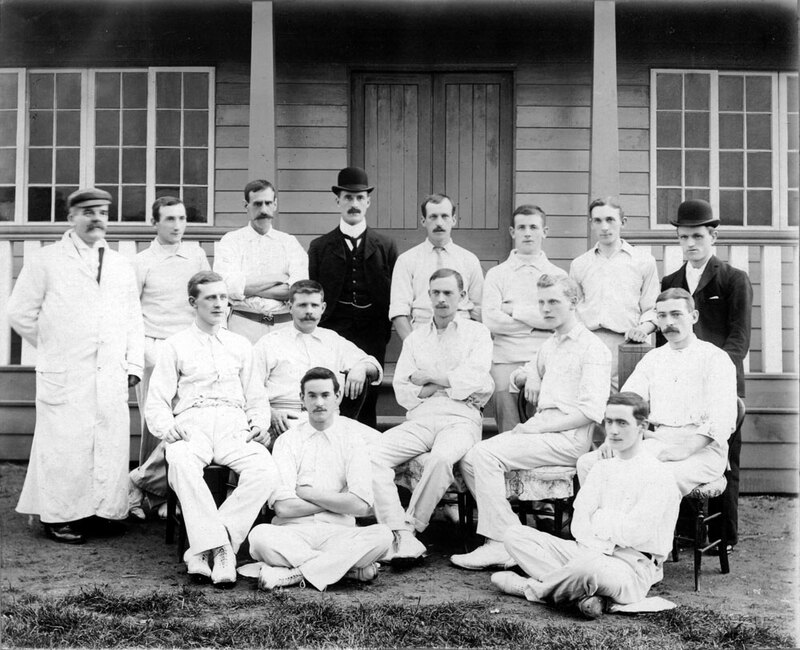 Other local families have been connected with the Club for many generations. 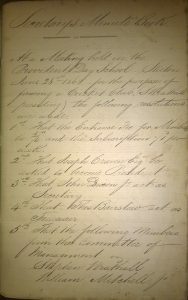 Worthy of note are the Emmotts, the Smiths, the Tunneys and the Shackletons – in fact during one period the Steeton team was built around six members of the Shackleton family (five brothers and a cousin) and three Battersby brothers, which no doubt made for an interesting score book on occasions! Another ex-player worth a mention is sports commentator (“The Alderman” of Test Match Special) and author, Don Mosey (1925-1999). Don is more associated with the now defunct Eastburn CC, but he collected 61 first team league wickets for Steeton in 1959. The First XI being champions of the Wharfedale Section of the Yorkshire Cricket Council in both 1931 and 1932, and being runners-up in 1933. The First XI reaching the final of the Waddilove Cup in 1969, 1998, 1999 (Winners) & 2007; and the Second XI reaching the final of the Birtwhistle Cup in 2015 (Winners), 2012, 2009, 2006, 2004 & 1996. Winning the Airedale & Wharfedale Burmah Oil Club trophy, for most collective points, in 1992, 1999 & 2005. The First XI doing the “Double” in 1999 – winning the Waddilove Cup and being ”A” Division league champions with 5 games still to play. The Second XI having a hat-trick of League Championships in 2005, 2006 & 2007, and winning again in 2010.